DaeHo was selected based on the photos of his parents and grandparents. 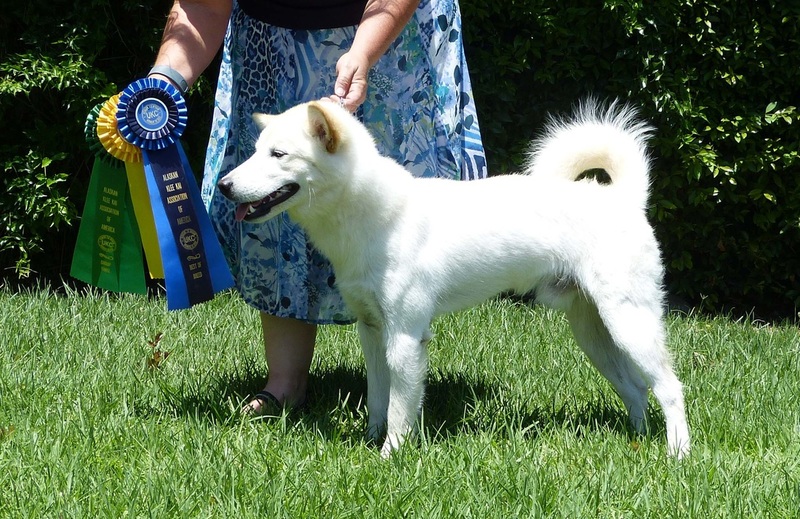 His paternal grandfather was Jang-u (JangWoo) who won BIS in several breed shows in South Korea. DaeHo is our first puppy that we imported from South Korea after the new U.S. Center for Disease Control regulations went into effect in 2014. He could only be imported after receiving a rabies shot in Korea at 3 months of age and then waiting within Korea for another month. So he was shipped at 4 months of age. Although DaeHo missed out on two months of socialization in a 'Western' setting, he arrived in the U.S. as a bold, confident pup that was friendly towards people and fearless towards other dogs. DaeHo is growing into a proportionate, balanced dog. Pending health tests and how he further matures, the plan is for him to be the sire of HoSu's second litter. Entered first UKC show. Earned UKC Championship. Entered first AKC-FSS Open show. Earned the breed's first FSS Group 1 at an AKC-FSS Open show on Sept. 24. Earned the AKC CA (Coursing Ability) title.